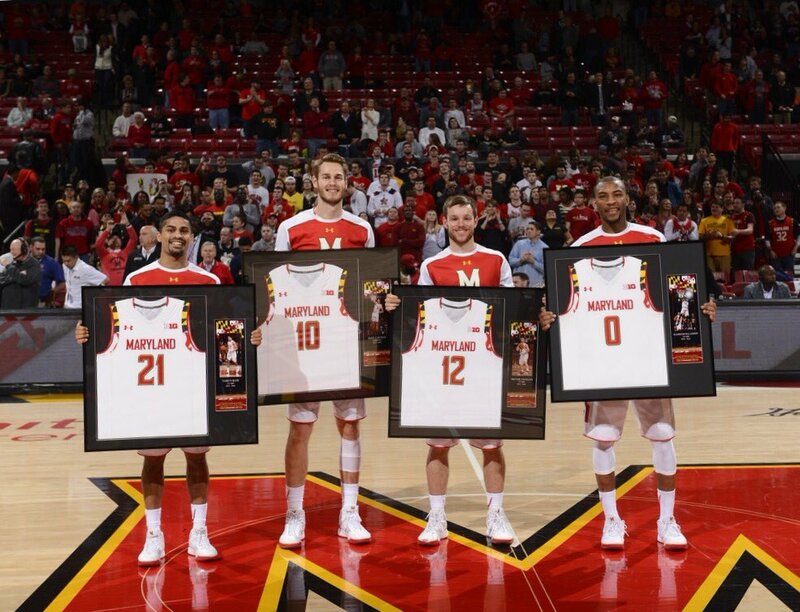 Over two weeks removed from dominating the Northwestern Wildcats in Evanston, the Maryland Terrapins opened up the Xfinity Center doors for a rematch. Fresh off their historic beatdown of Ohio State, Mark Turgeon is far from concerned about Melo Trimble‘s lack of a double-digit scoring performance over the past four games because “he is a winner” that knows exactly what the team needs. In overtime the Upper Marlboro native came through to make up for all of the mistakes made during regulation. Maryland allowed 16 offensive rebounds, which were converted into 16 second chance points, and committed 16 turnovers that Northwestern cashed into another 14 points. The Terps led that game for less time than the Wildcats but the defensive performance that was one of the “best” ever according to Turgeon helped pull out a 62-56 victory in overtime. Filed Under: College Tagged With: DAMONTE DODD, Diamond Stone, JARED NICKENS, JOHN WALL, MARK TURGEON, MARYLAND TERRAPINS, MELO TRIMBLE, Northwest Wildcats, Robert Carter Jr.
With finals week over and an end to the fall semester, the Maryland Terrapins traveled to Royal Farms Arena in Baltimore to compete for the first time this century. In a game that was meant to help recruiting in the area, the Terps faced off against the spread offense from the Princeton Tigers. 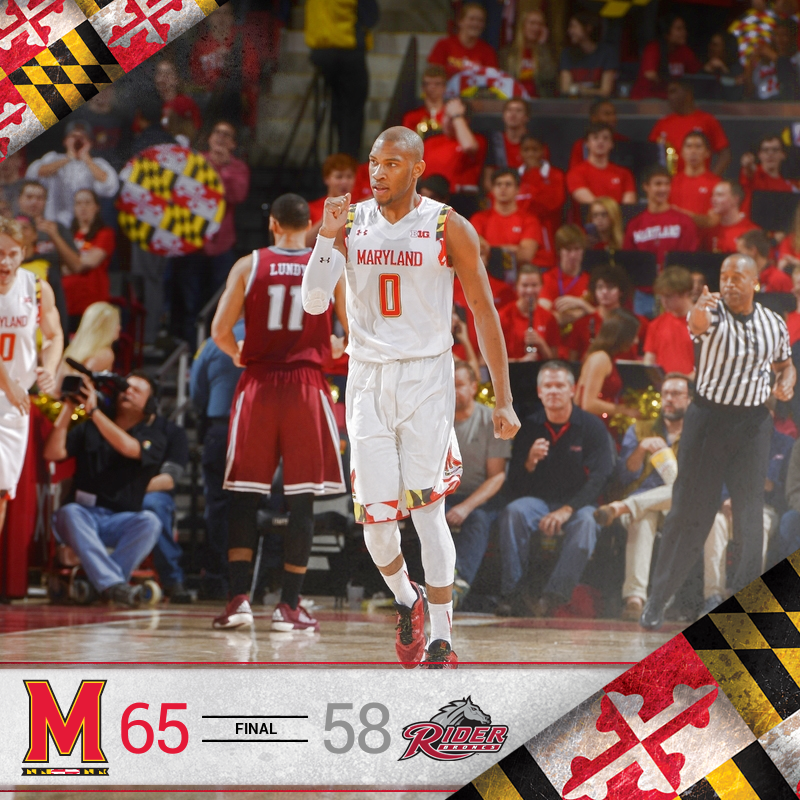 After a scare early, Maryland outlasted the Tigers with a strong second half to earn a 82-61 victory. The nullification of the Princeton offense will serve as a good learning tool for the Terps if they see a similar style of play in the NCAA tournament. 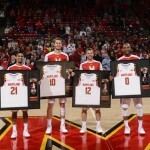 Filed Under: College Tagged With: DAMONTE DODD, Diamond Stone, JAKE LAYMAN, JARED NICKENS, MARK TURGEON, MARYLAND TERRAPINS, Michal Cekovsky, RASHEED SULAIMON, Robert Carter Jr.
After a great comeback win in a renewed rivalry against the Georgetown Hoyas, the Maryland Terrapins came out a bit sluggish against the Rider Broncs. Luckily with the new 30 second shot clock, college basketball is a long game that allows for the more talented team to usually come up on top. Even though Maryland did not take their first lead until the 5:26 mark of the second half, the Terps were victorious 65-58 against an aggressive Rider team that looks to be competitive in the MAAC. Cekovsky was the Terps best center against Georgetown and Mark Turgeon was hoping to get the best mix of Damonte Dodd‘s defense and Diamond Stone’s offense. After poor defense from Cekovsky early, Turgeon brought Stone off the bench three minutes into the game before ultimately going into a small ball lineup. It was Jared Nickens off the bench against the Hoyas that helped lead the Terps to victory and Turgeon tried to use that as a catalyst against Rider. Postgame, Stone said that anyone of the Terps bigs (Cekovsky, Dodd, and himself) can start and it does not matter between the three. The Terps came out slow for the second straight game and did not lead at all in the first half. Eight minutes into the game, Maryland was 1 of 6 from beyond the arc and getting outrebounded 9 to 7. With the interior defense lacking while Rider’s aggressive on-ball defense was paying off, Maryland found themselves in a whole. But as we have come to know this season whenever Turgeon finds his team in a rut, he looks to graduate transfer Rasheed Sulaimon who came through with nine points when the offense was sputtering. 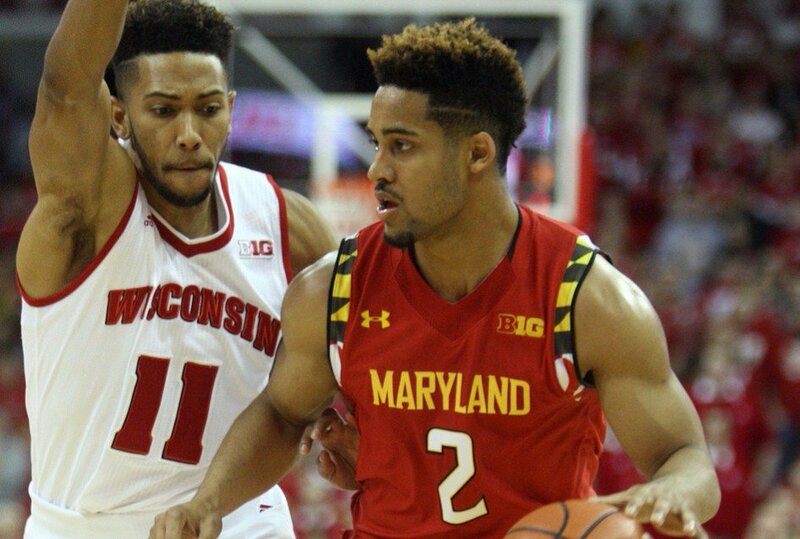 At the half, the Terps were down 31-29 when it could have been worse. After committing a turnover to start the half, it was all Rider who came firing with a 12-0 run. 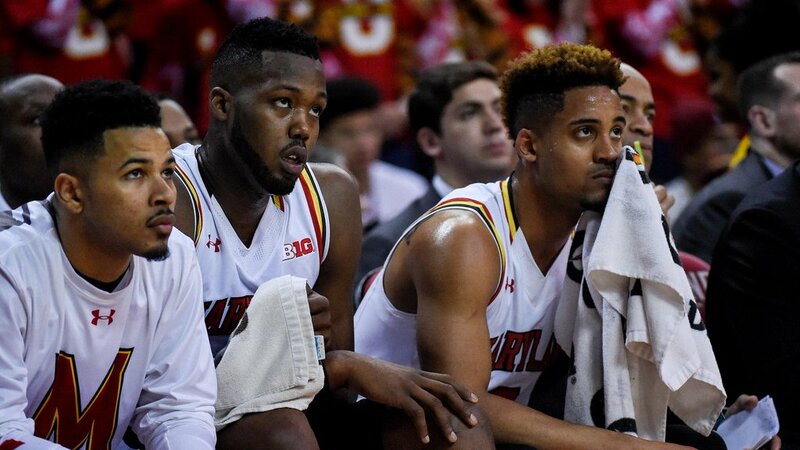 Even after a Turgeon timeout, Maryland could not figure things out and found themselves down by 14, the most this season. It was a mix of bad defensive rotations and transition buckets that hurt the Terps, but luckily for those in College Park things would change by the end of the half. At the end of this run by the Broncs, the veteran leadership of Sulaimon and Robert Carter Jr. were in the ears of their teammates to calm down and relax because they were going to win this game. After not starting the game, the Wisconsin native showed Terp Nation why he is still a force to be reckoned with. Against the smaller Rider defenders, Stone went to work in the post and was starting to finish close to the basket. Stone would get the Terps first points of the half to snap Rider’s 12-0 run with a layup and would follow that up with a MONSTROUS put back dunk that energized the sold out Xfinity Center crowd. Stone’s eight points over a five minute span would directly lead to a 17-5 run. It was also Stone’s work on the defensive end, with two recovery blocks, that helped Maryland’s interior defense that was tested in the first half. Stone told me postgame that even though he may not show it on the court, he appreciates the support of the fans because it amps him up internally. At the 5:26 mark in the second half, Sulaimon gave Maryland their first lead of the game at 52-50. Two minutes later, Melo Trimble hit his first three of the game after both Rider defenders fell back with Stone off the pick-and-roll to give Maryland the lead for good. Helping the Terps close things out were their dominance on the offensive glass as they had eight second chance opportunities thanks to crashing the boards. 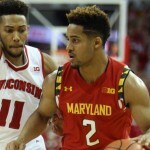 Credit Rider for sticking with it offensively, but Maryland responded in their own right. It certainly helped the Terps cause when the Xfinity wall helped Rider’s Kahlil Thomas miss the front end of the one-and-one free throw. The Terrapins were great in close games last year, and it seems like we might see a similar trend this time around. The Terps will take off for the Cancun Challenge to face off against Illinois State on Tuesday 11/24. It took two universities, separated just 17 miles apart, 22 years to renew a rivalry that was budding through most of the mid-20th century. Maryland is in a much different place as a program as in 1993, Gary Williams used it as a program turning game, while today Mark Turgeon was just trying to maintain their #3 ranking as the team continues to build chemistry. 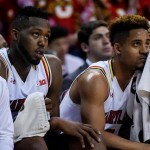 A great game to watch for non-fans, but a heart attack variety if you were invested, SportsCenter was hosted after a thrilling 75-71 Maryland victory that Turgeon called a “big relief”. Filed Under: College Tagged With: Diamond Stone, JAKE LAYMAN, JARED NICKENS, MARK TURGEON, MARYLAND TERRAPINS, MELO TRIMBLE, RASHEED SULAIMON, Robert Carter Jr.